I just wanted to show you this quick video of a fox that myself and dad saw in the field. We've been seeing them a lot lately. After this sighting, I went up to try and see them again and perhaps photograph them... but no luck. We are still seeing them every couple of days or so. There are 3 of them, a vixen and her two cubs. In the video was a cub. 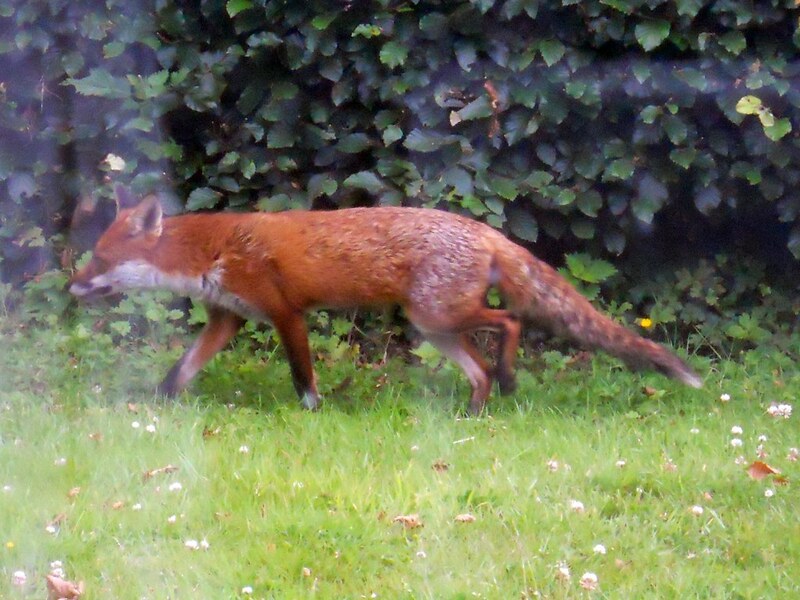 This is the best picture of a fox I've ever taken - and it's rubbish because it was taken through a window. 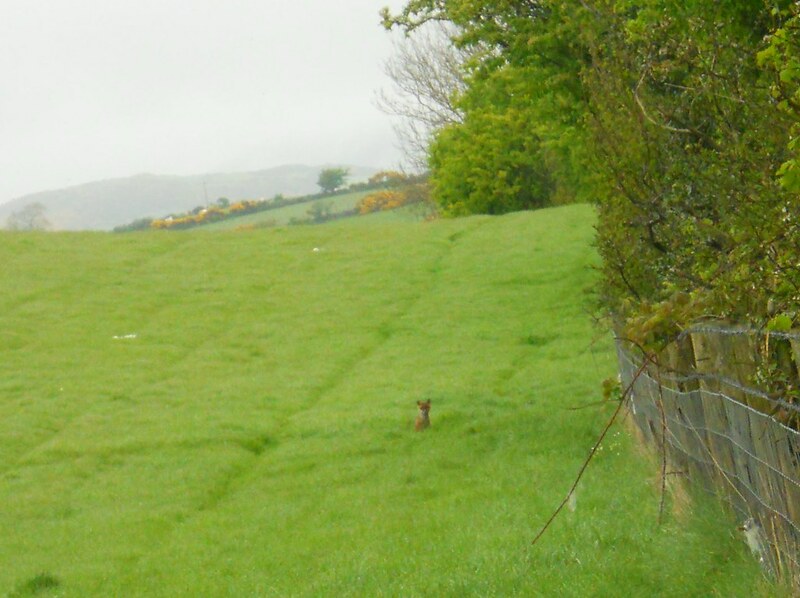 And this is another rubbish photo of a fox cub from last year. Keep at it! Can you make a photo from the video? We have a lot of fox in Alaska. It is the Lynx that is so very elusive. OOOh, foxies! They look good to chase! I think they're great shots! And such bright red fur. Our foxes are much more gray.